I love Safavieh rugs. This was perfect for my little girl's room. Has held up very nice the 4 yrs. I've had it. 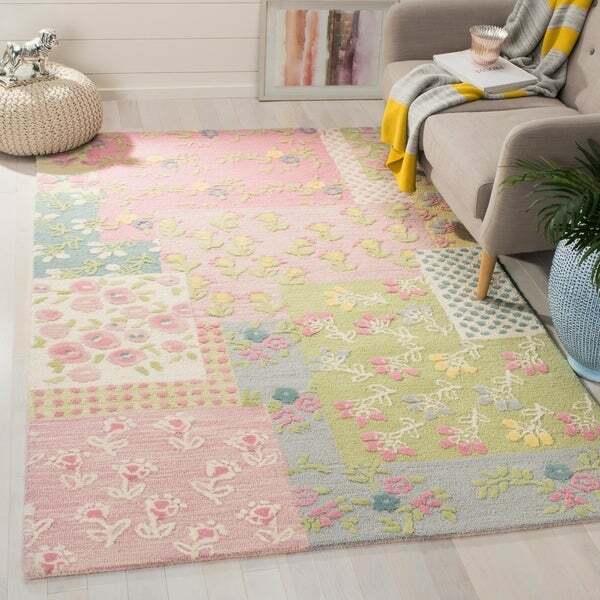 This is a gorgeous area rug and perfect size for my 3 yr old daughter's room. The colors are great and Safavieh make the best area rugs. I highly recommend this area rug! Love this rug. Be careful, it looks lavender in the picture but it is really light pink with blue and teal accents. I needed a pink and a lavender rug so I kept this as the pink rug because it was so pretty for a little girl's room. This was not a good buy for me. When sitting on the rug, our clothes get fully of debris that falls off the rug. I have vacuumed and that doesn't help. Do do not recommend. Ordered for my little girls room, colors are perfect, quality seems great, couldn't be happier!! It's too cute! Looks incredible in my daughter's nursery.